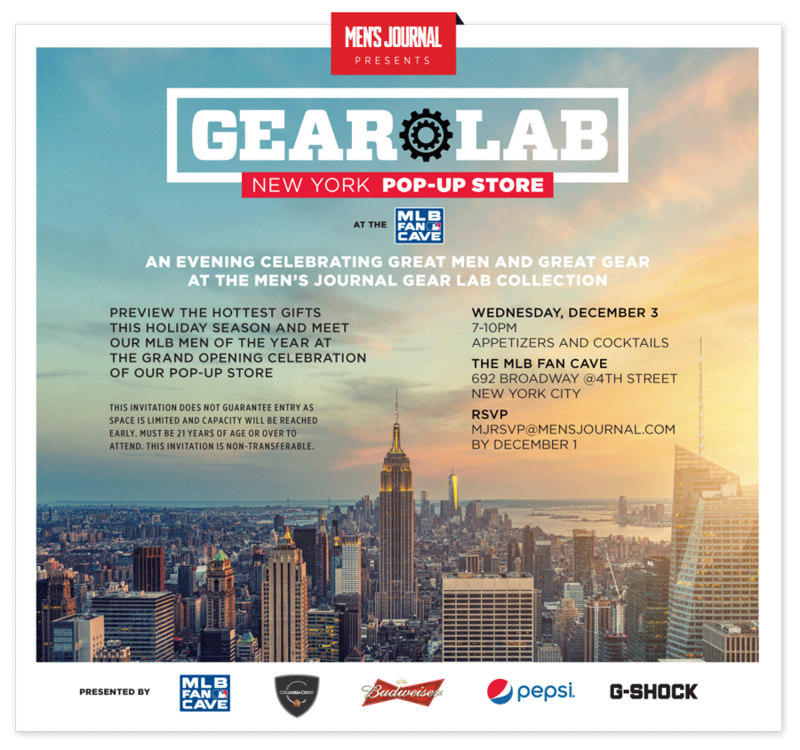 Join Mens Journal as they present Gear Lab Pop Up Store. It will be an evening celebration great men and gear. Guests can preview the hottest gifts this holiday season as well as meet the MLB Men of the Year at the grand opening celebration of the pop up store. Appetizers & cocktails will be served. Guests must be 21 years or older. Tags: cocktails, free, Gear Lab, Mens Journal, MLB, nyc, shopping. Bookmark the permalink.